The lawsuit originally filed by Gary Friedrich vs. Marvel Comics (And now Disney) has been settled according to Reuters. This has been quite the legal battle starting with Friedrich’s claim of ownership of Ghost Rider and the initial outcome not only being in Marvel’s favor but demanding the artist pay $17,000 for selling prints of the character at conventions. That decision was overturned by the second circuit court of appeals who found that his contract was ambiguous enough to go to trial. Now reports say that Marvel and Friedrich has come to an agreement that will end the five year litigation over the character. In a letter filed Friday to U.S. District Judge Katherine Forrest by Friedrich’s lawyer, Charles Kramer, it is said that his client and Marvel “have amicably agreed to resolve all claims between, among, and against all parties.” Deadlines for the case have been suspended pending a final settlement. The trial had been slated to start December 16th. Friedrich contemplated suing back in 2004 after hearing of a pending feature film. His lawsuit claimed he owned the character and its use in films, toys video games and other merchandising. 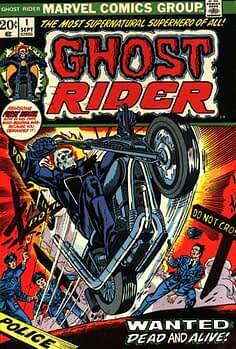 Marvel claimed that Ghost Rider was a collaborative effort that Friedrich has contributed among others. The Comics Trading Card Market Back With A Boom? Or A Bonnet?